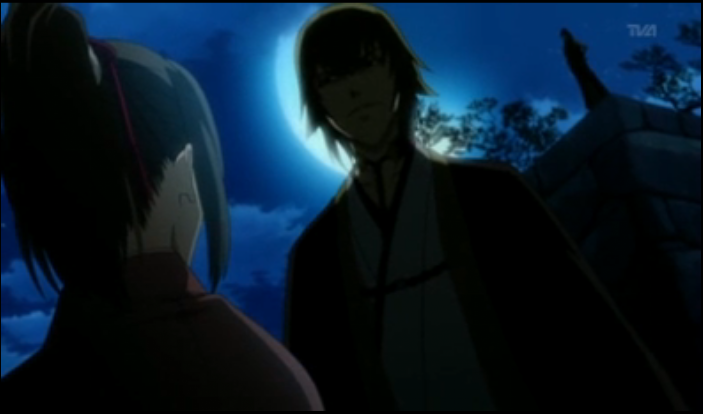 Chizuru is confronted by her demon heritage. 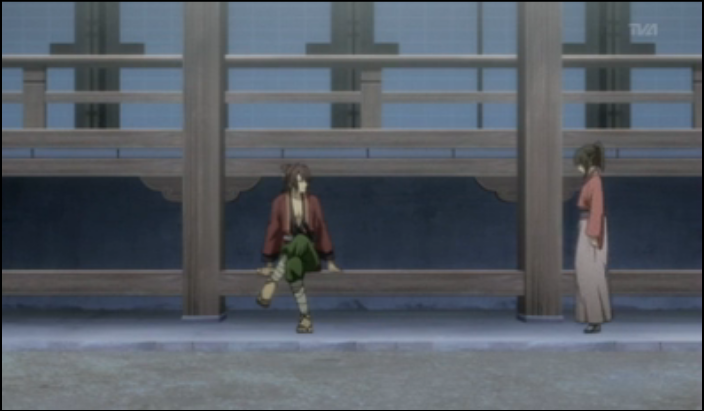 Episode 7 of Hakuouki begins with the Shinsengumi defending Chizuru from the three oni. 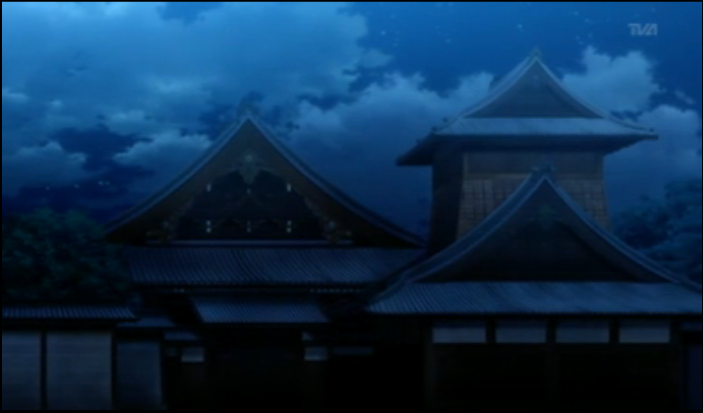 Later some things are confirmed, including Okita’s health problems and the whereabouts of Chizuru’s father. 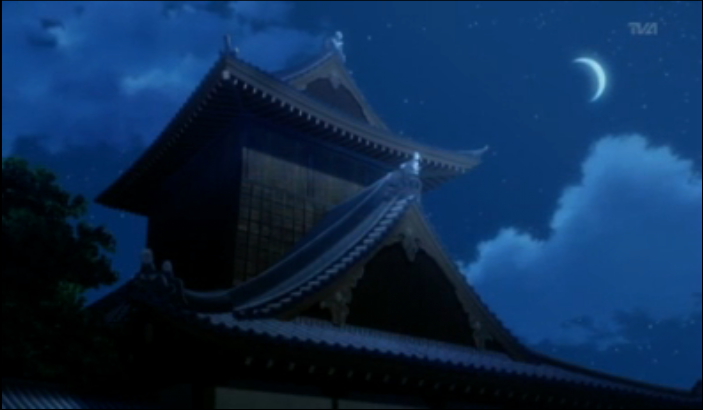 The new Shinsengumi headquarters looks great, but it needs a bit of cleaning. The three demons (oni) associated with the Satsuma clan admit openly that they are oni, and they insist that Chizuru is one as well. They withdraw rather than being forced back, in fact they evade attacks from the Shinsengumi using what appear to be supernatural abilities. 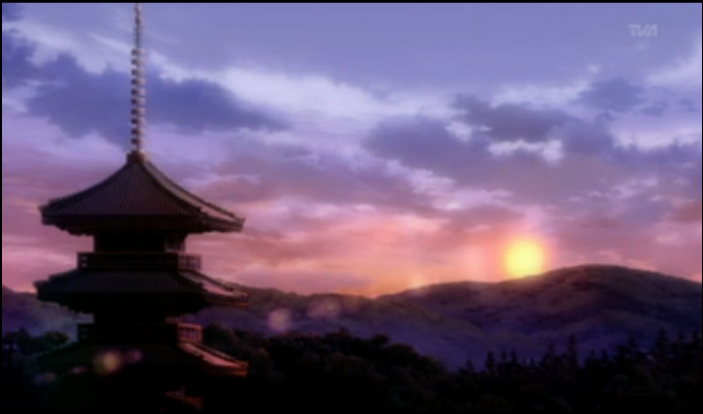 Later in the episode the blonde oni, Chikage Kazama, returns and tells Chizuru that Koudou Yukimura has switched sides. He is working with the Satsuma clan now, fighting against the shogun. I wonder what is going on here. Chizuru thinks she is Koudou’s daughter, but some on the net have theorized that she is an actual demon whose blood was used somehow to create the medicine (that we now know is called ochimizu). 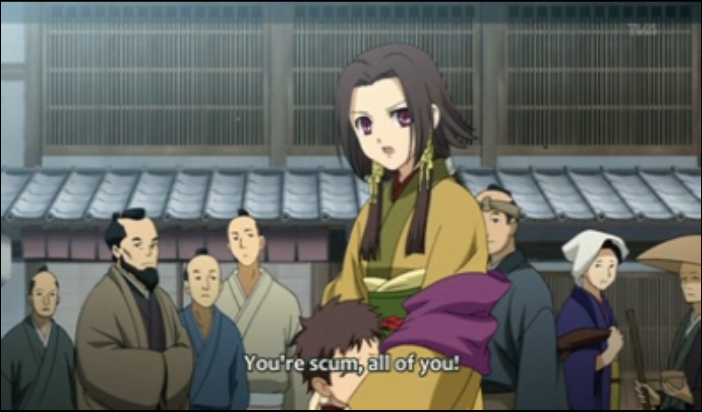 Kazama claims she has demon blood in her, and warns the Shinsengumi that she is too much for them to handle. 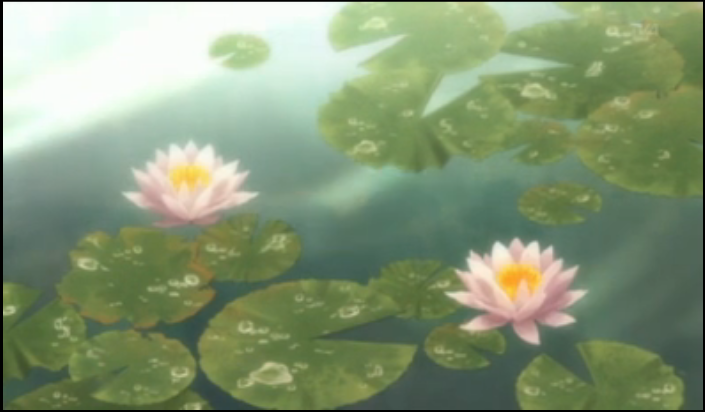 Incidentally, the quality of the artwork in this episode really was great. Some publicly questioned if Studio DEEN could maintain the quality of the earlier episodes, but this episode actually looked even better to me. I had a really hard time cutting down the number of screen caps for this post. Osen-chan seems to recognize the Yukimura family name. Another person was introduced, but I think this was actually one of the women from the beginning of episode 4. It seems suspicious that she only provided a single name, and she obviously recognized Chizuru’s family name of Yukimura. At any rate she is clearly shown in the OP. 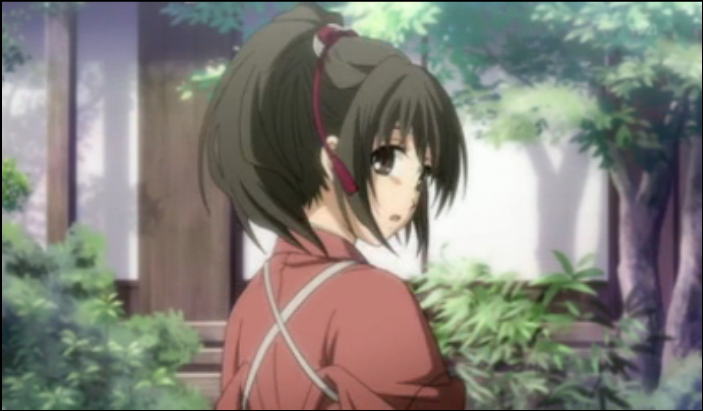 She also recognizes Chizuru as a girl instantly, leading Chizuru to ask Saito the following question. We also receive confirmation of a number things in this episode. First, the ochimizu was being developed by Koudou at the request of the shogun, as a means of creating super-warriors, called Rasetsu. 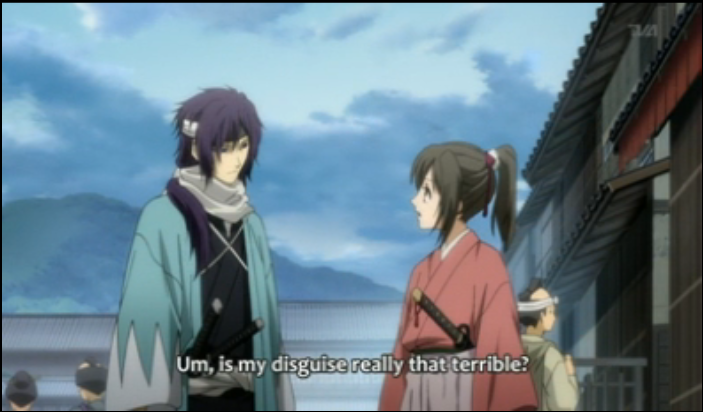 Also, Heisuke Toudou tells Chizuru that he wasn’t really sick, he just didn’t want to guard the shogun. 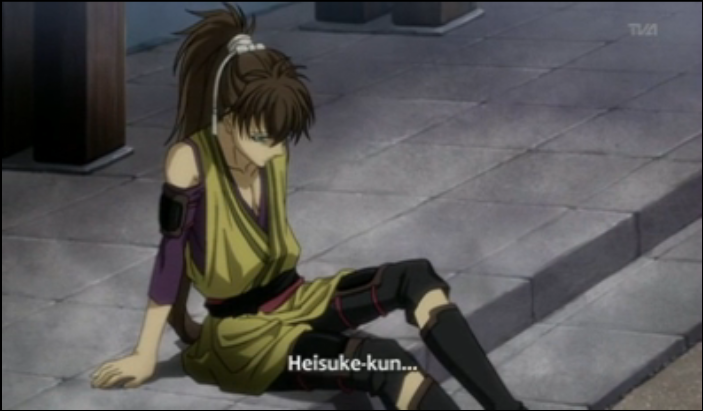 He sees the Shinsengumi as drifting from their earlier ideals. 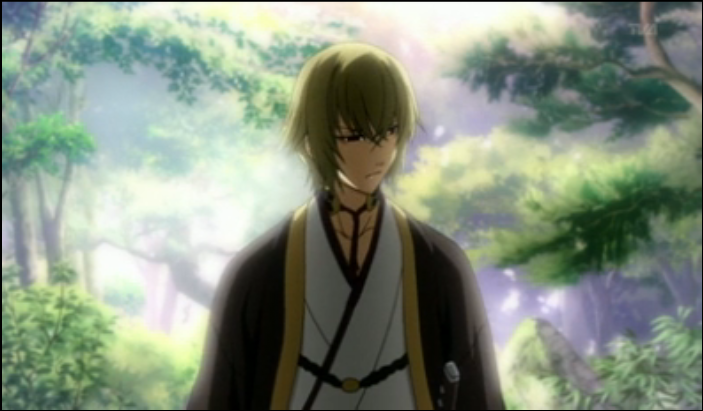 Finally, Souji Okita is diagnosed with tuberculosis; Chizuru overhears, but promises to keep his condition a secret. As a bonus this week, here is a link to some very nice fan art by Miyukiko. I really enjoy the watercolor-like style, and the warm colors complement the relaxed atmosphere evident in their poses. Click on the image for a larger version, hosted on deviantart.com; there is some interesting detail, such as on Chizuru’s kimono, and Saitou-san’s expression is funny. I was expecting a twist but wow, Chizuru an Oni and she’s all cute and cuddly without any memory of it? Hmm, I’m more curious about her father now. Same for Sen, who seemed to know all about Chizuru. This reminds me of Kauro, who resembled her too much; I can bet it was no coincidence. Yeah there is some sort of big plot development just over the horizon. Assuming Sen really is the same person we saw earlier, that means she has at least one ninja working for her. I absolutely don’t know what to make of Kauro, but I can’t see a character who seems to be identical to the viewpoint character wandering in to the story with no significance. Chizuru seems to genuinely not know why those guys claim she is an oni, but I wouldn’t blame Hijikata if he were suspicious.